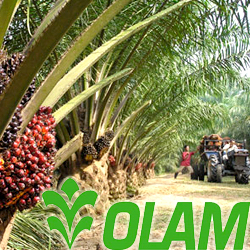 Africa may well be the next frontier for palm as the continent presents excellent opportunities, according to Mr. Sunny Verghese, chief executive officer of Olam International Ltd. He was addressing a large gathering of the global vegetable oil industry and trade here at the Palm Oil Price Outlook 2015 conference organized by Bursa Malaysia. Africa has suitable agro-climatic conditions for oil palm and natural rubber plantations with more contiguous land available while labour availability is adequate, Mr. Verghese pointed out. However, ambiguities in land related investment policies, highly expensive logistics and infrastructure as also low labour productivity are challenges to be overcome, he added.